The dating pool for the plus size woman can be sort of slim. It’s not because we aren’t beautiful or the fact that some of us do not put ourselves out there, it’s the fact that we’re afraid to do just that. Plus size bodies are not society’s norms even though our body types have been around for ages. It has crept into society somewhere down the line that plus size women should be looked upon as disgusting or undesirable. This is totally not the case. Plus size women are more than deserving to be loved and treated with respect. No one should have to tell you that. Nevertheless, it is factual the dating as a plus woman can be quite horrifying. It has gotten to the point that many of us refuse to date altogether. As a plus size woman, we find that we stand out just about anywhere. It doesn’t matter if we are at the supermarket or walking down the street window shopping minding our own business. There are always those few people that get a kick out of staring. Granted, I am not all the way sure about what is going on in that person’s head. I am not a mind reader. Maybe they’re thinking, “Hey! She’s cute!” or “Damn she can dress!” Or it could be something negative. Either way, we get stares from strangers without them saying a word; as if a compliment could hurt them. However, there are strangers out there that do not mind complementing the plus size body. Men are the sub-topic of this conversation, so we’ll discuss that. As plus size women, we ALL have terrible stories of how we may have gone out with a guy or liked a guy and he ended up playing with our entire feelings! Dating in the plus size world can be a toss-up with finding men who won’t embarrass or to love us unconditionally. I have seen plus size women get asked out on dates as a prank from a guy and his friends. They wanted to see how easy it was for him to get her number or just casually talk to her. I swear the hurtful and disgusting thing that goes on in people’s minds is enough to make you sick. It is because of terrifying stories like these that many plus size women do not go on date’s period. A few women I know have trust issues because it can be hard to believe that someone actually chooses to go out with them. I don’t think anyone cares what this can do to a woman’s mental! For some of us, it can really bring down their self-esteem and question all the self-love that they have worked so hard to acquire. It’s sad really; being that most of these women have the utmost confidence. From personal experience, as a plus size woman, I have other stories toward dating in society. For as long as I can remember, I couldn’t wait to go out there and date the guys that I found were interesting. Even though I found some pretty interesting people, the dating process didn’t exactly go as I thought. For instance, I can date a guy, but we wouldn’t go anywhere. We’ll chill at my house or his and have a good time but that’s it. We never went OUT on an actual date unless it was to the movies (hence it’s late at night and everything in the theater is dark). I knew why I was being treated the way I was. He didn’t want to be seen with me. I wasn’t acceptable in his reality, only his private fantasies’. Eventually, I got tired of being disrespected. I knew I was a catch and from now on, I demand that I would not be anyone’s secret. I deserve to be shown off to the world with the right guy at my side. If anyone disagreed, I wouldn’t give them the time of day. Sometimes I wish I could wave a magic wand and the need to love someone’s appearance first before the soul would magically disappear. But unfortunately, that’s not how the world works. The world is slow to change and we all must work to change it one perception at a time. Dating should be fun and exciting for all parties involved, but to some women, the “plus size woman”, it can be very scary and daunting. The world needs more representation for plus size bodies to be seen for what they really are, beautiful! Make this change and just like everything else that comes up in the media, people will surely follow and grow accustomed too. 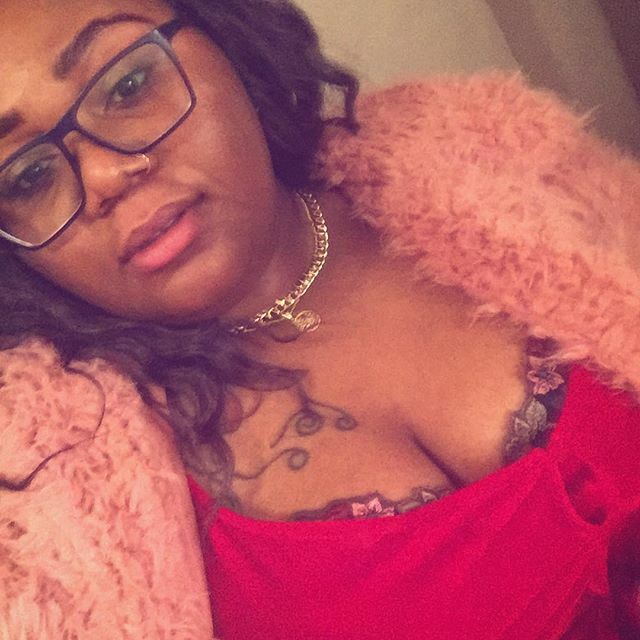 What are your thoughts about plus size dating? I would love to hear your stories in the comment section below! Until next time, see you soon.